In South Australia’s Barossa Valley, the Kalleske family have been farming and growing grapes since 1853 near the village of Greenock. They are one of the region’s leading grape-growing families consistently growing some of the Barossa’s best quality grapes. After six generations of growing grapes, winemaker and seventh generation family member, Troy Kalleske, together with his brother Tony, established the Kalleske winery and made the first ‘Kalleske’ wine. The winery is situated on the family estate where traditional winemaking techniques ensure the vineyard realises its full potential as wine. The vineyard is managed by Troy’s and Tony’s parents, John and Lorraine, and brother, Kym. John has over forty years experience tending the vineyard. The 120 acre vineyard is planted to Shiraz, Grenache, Cabernet Sauvignon, Semillon, Chenin Blanc, Mataro, Petit Verdot, Durif, Viognier, Tempranillo and Zinfandel. Vines vary in age with the oldest remaining vineyard dating back to 1875 and an overall average vine age of about 50 years. The vineyard is low yielding with grapes grown organically and biodynamically and the winery is also certified biodynamic/organic. The Kalleske family are active practitioners of sustainable farming. They are caretakers of the land and not only want to maintain the environment but improve it for future generations. All Kalleske wines are estate grown and vinified with minimalist winemaking techniques used to fully capture the essence of the vineyard allowing genuine handmade estate wines to be produced. The range is a diverse mix of wines that showcases the splendid Kalleske grapes. Since the first wine release in 2004, Kalleske has rapidly gained a reputation for producing top-quality hand crafted wines. Kalleske are committed to continue making genuine estate grown wines of individuality and of vineyard and winemaking excellence. Wines from Kalleske have been seven generations in the making, but they are certainly worth the wait! For over 150 years our Kalleske family has been living and working on our Greenock farm. Throughout this time each generation has been vigilant in looking after the property for the next generation by not only preserving but enhancing the natural environment. Today, genuine sustainability and careful environmental practices continue to be at the core of our Kalleske farming, grapegrowing and winemaking. Organic and Biodynamic practices in the vineyard and winery ensure the soil, air and surrounding waterways are not polluted with synthetic chemicals and fertilisers. Organic and biodynamic farming is not only good for the environment but it ensures the grapes produced are more wholesome with vitality and integrity that reflect their origins of our Kalleske vineyard. Farming the vineyard organically and biodynamically is the truly natural way of farming ensuring ultimate sustainability, authenticity and quality. 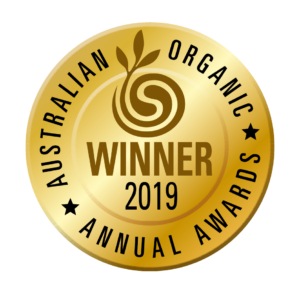 To find out more visit our Organics and Biodynamics page that includes downloadable information sheets. On 18th November 1838, merchant and miller, Johann Georg Kalleske and his wife Johanne Dorothea, together with their four children landed in the newly established colony of South Australia. They had sailed for many months on the Prince George, from half-way around the world, fleeing religious persecution in their homeland, Prussia. In 1853 the Kalleske farm was established at Moppa, a small sub-district of Greenock in the North-Western Barossa Valley. Since settlement the Kalleske farm has been a mix of enterprises including vineyard, orchard, sheep, dairy, pigs, cropping, milling and merchanting. Today, the property continues to be a diverse and thriving mix of vineyards, sheep, cattle, chaff mill and winery. The farm has been in continual family ownership for more than 150 years and is today tended by the sixth and seventh generation of the Kalleske family. Troy Kalleske, is a seventh generation Barossan and grew up amongst the vines of the Kalleske property. From a young age was grape-picking and pruning the vines planted by his great-great-great grandfather in 1853. In 2002, after 149 years of farming and grape-growing by the Kalleske family, Troy took the next step and established the Kalleske winery. It is here where Troy handcrafts Kalleske wines. Since releasing his own wines, Troy has rapidly gained national and international recognition as one of the Barossa’s and Australia’s best young winemakers. 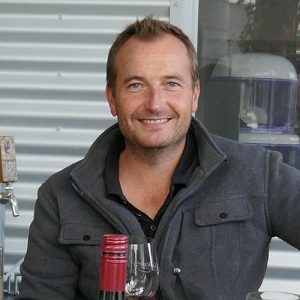 Troy has received numerous accolades with one of the most prestigious being the “2008 Barossa Winemaker of the Year” title awarded by the Barons of Barossa. Tony is the eldest of the ‘seventh generation’ Kalleskes. From an early age he was out in the vineyard helping his parents with hand picking and pruning on the family vineyard and together with Troy, co-founded the Kalleske Winery. Tony is hands-on in the winery during vintage but throughout the year he looks after sales and general business. John is a proud sixth generation Kalleske and together with wife, Lorraine, is the owner of the Kalleske farm and vineyards. John has been growing grapes and farming the land for close to half a century and was intrumental in achieving the initial and ongoing organic and biodynamic certification for the vineyards and farm. John has always strived to achieve the highest quality from each block and is always looking at new ways to better manage the vineyard along with his Son Kym. In 2015 John was awarded the prestigious accolade of ‘Barossa Vigneron of the Year’ awarded by Barons of Barossa. 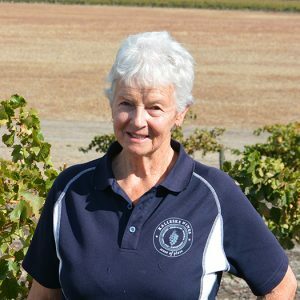 Lorraine Kalleske is Australia’s fastest hand grape-picker. During the 1980s Lorraine won a total of four National Grapepicking Championships, including a unique three-in-a-row trifecta. As the competition is now no longer held, Lorraine retains the title of Australia’s fastest grape-picker. Lorraine has put her skills to good use by hand-harvesting grapes on the Kalleske farm for the past four decades. Lorraine is also actively involved in the planting, training and pruning operations. Kym has continued the Kalleske family tradition and followed in his previous generations footsteps by becoming a fellow merchant and miller. Kym is an integral part of the Kalleske vineyard and farm, managing day to day operations in conjunction with his Father, John. Kym has almost three decades experience tending the vineyard. 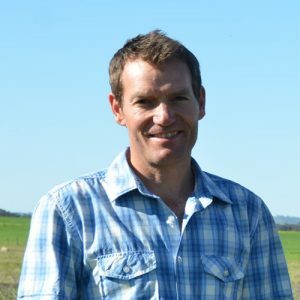 Kym has been instrumental in the success of the vineyard and diverse farming enterprises, including cropping, organic Dorper Lamb, Black Angus Cattle and the commercial chaff mill combining traditional and modern agricultural practices. 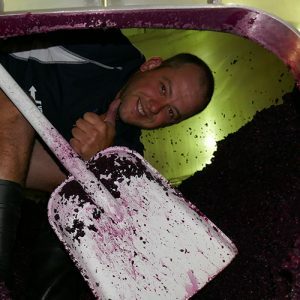 Darren is the Kalleske Cellar-Hand and started working in the winery in 2007 and takes care of all cellar duties during vintage and throughout the year. Since beginning in 2007 Darren has honed his skills in the cellar and works closely with Troy to produce to the premium quality wines. Darren is a local lad and a cousin Troy and Tony growing up on his parents’ farm and vineyard at Koonunga Hill in Northern Barossa. Troy Kalleske is the winemaker and co-owner of Kalleske. 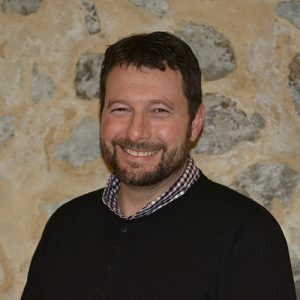 He’s a seventh generation Barossan and in 1999 Troy graduated with a Bachelor of Agricultural Science (Oenology) Degree from the University of Adelaide, achieving a distinction average. 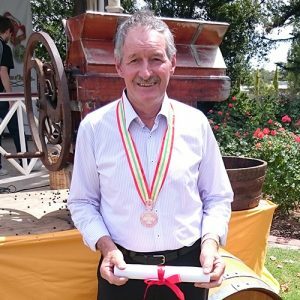 Troy was the first Kalleske to venture into the field of winemaking and during his studies Troy was awarded no less than three scholarships, including the prestigious South Australian Wine and Brandy Industry Association Medal for Bachelor of Agricultural Science (Oenology). Following university, Troy was selected for the Southcorp graduate winemaker program where he gained valuable experience winemaking at Seppelt Great Western, Lindemans, Penfolds and Seppeltsfield fortified winery. On completion of the graduate winemaker program, Troy continued winemaking for Southcorp at Penfolds, Barossa Valley. 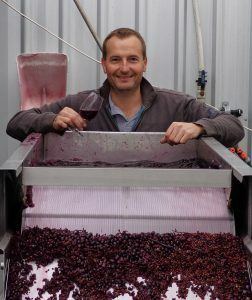 Troy has also completed a vintage with Rolf Binder at Veritas Winery and Miranda Wines, and in keeping with the increasingly global wine business he left Australia and gained valuable international knowledge of the industry as Harvest Enologist for Kendall-Jackson at Vinwood Cellars in Geyserville, Sonoma County. In 2002, after 149 years of farming and grape growing by Troy’s family, Troy and his brother, Tony, took the next step and established the Kalleske winery. Troy was the first Kalleske to pursue winemaking after seven generations. Troy has received numerous accolades in recent years with one of the most prestigious being the “2008 Barossa Winemaker of the Year” title awarded by the Barons of Barossa. Troy is rapidly gaining recognition as one of the Barossa’s and Australia’s best young winemakers. At Kalleske we believe in holistic and natural approach to winemaking that focusses on the relationship between soil health, vine health, grape quality and minimalist winemaking techniques to produce premium quality wine. Soil and vine health is paramount for overall wine quality and organic and biodynamic farming is a truly sustainable production system with the health of the soil at its core. Healthy plants and quality produce naturally flow from this – simply the way nature intended. Organic and Biodynamic practices in the vineyard and winery ensure the soil, air and surrounding waterways are not polluted with synthetic chemicals and fertilisers. We understand that every vineyard location is unique and the relationship between soil and climate has the potential to produce a different result at every location. For the vines to capture these unique characteristics of their site with their roots and their leaves, the soil must be alive and healthy and the leaves must be free of synthetic chemicals. Overall Organic/biodynamic grapes are a true, original and authentic expression of their site resulting in genuine and flavoursome wines. To complement the natural quality of our grapes, traditional minimalist techniques are used in the winery including relying on natural yeasts to undertake the primary fermentation and natural malolactic bacteria to perform the malolactic fermentation as well as not adding tannins, enzymes or fining agents. Natural methods of fermentation allow each wine to be genuinely unique and truly representing the time (vintage) and place (soil/location) where it is grown. The Kalleske farm and vineyards were established in 1853 at Moppa, a small sub-district of Greenock in the North-Western Barossa Valley. The oldest vines on the property today are more than a century old, dating back to 1875. The 120 acre vineyard is a diverse mix of varieties with Shiraz and Grenache predominating followed by smaller plantings of Mataro, Cabernet Sauvignon, Petit Verdot, Durif, Tempranillo, Zinfandel, Chenin Blanc, Viognier and Semillon. 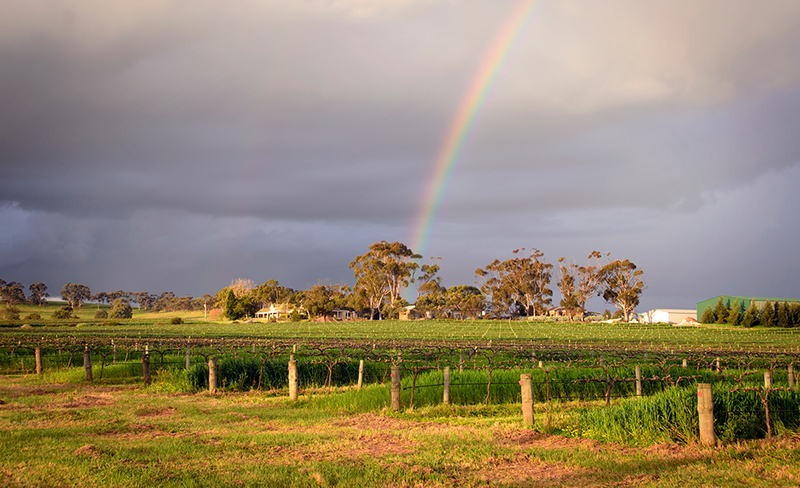 The Moppa/Greenock sub-region of the Barossa is regarded as one of the finest districts for high quality wine, especially Shiraz and Grenache. All Kalleske vineyards are farmed certified organically and biodynamically. Genuine sustainability and authentic wines are at the core of Kalleske farming and winemaking. 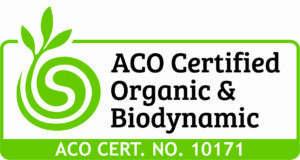 Please click here for more on organics and biodynamics and environmental sustainability. At an elevation of 300-350m, the Kalleske farm is one of the higher localities in the Barossa Valley, being 40-90m higher than the Valley floor at approximately 260m. As well as higher elevation, the vineyard is characterized with varying topography of softly rolling hills and gullies creating gentle cooling breezes. The higher elevation and cooling breezes result in a slightly cooler growing season for the Kalleske vineyard, ensuring gradual ripening and full flavour, tannin and structure development. The Kalleske farm is 500 acres and the 120 acres of vines are planted in over 30 individual blocks across the property. This spread of plantings covers a diversity of topographies, soils and aspects ensuring interesting, characteristic, individuality from each block. The soils vary across the vineyard blocks but importantly red clay underlies all vineyards ensuring Winter rainfall is captured in the subsoil for use by the vines over the Summer growing season. Annual rainfall is typically 500mm, with the majority of this falling during Winter and early Spring. At the Kalleske vineyard, budburst usually occurs in late September, followed by flowering and set in November. Harvest usually begins in the final week of February and typically concludes in mid-late April. The Johann Georg vineyard is the flagship of the Kalleske farm. It is the oldest vineyard on the Kalleske property and is fittingly named after the first Kalleske ancestor to migrate to Australia. Johann Georg was born in Brätz, Prussia in 1794 and migrated to South Australia with his wife and children in 1838. The vineyard is entirely dry grown, solely relying on natural rainfall. Strong textural aspect with intense, fine tannins and flavours of black fruits, savoury roast meat and black olive. The Eduard vineyard blocks are named after Karl Heinrich 'Eduard' Kalleske, who together with his wife Anna 'Rosina' worked the Kalleske vineyard until the 1880s when their son took over the reins. The vines are dry grown. Rich, dark, brooding strong black fruits with a savoury dimension and solid tannins. The only Kalleske vineyard not adjoined to the 'home' property, the Greenock vineyard is located just South of the Greenock township on the Western edge of the Greenock Creek. Chocolate, plum and fruit cake with solid structural tannins and long length. It is the oldest Grenache vineyard on the Kalleske property and one of the Barossa's and Australia's oldest Grenache plantings. The vines are dry grown. Rich varietal Grenache displaying intense perfume, spice, blackberry, concentration and a hint of choc mint. The Clarry's vineyard blocks are spread over the Kalleske property providing a diversity of fruit characteristics. Clarry's is named in honour of Clarence "Clarry" Kalleske, who farmed the Kalleske vineyards from the late 1920s until his retirement in the 1990s. Red rose florals and perfume spice from the Grenache, fruit cake and chocolate from the Shiraz and textural savoury tannin and rustic characters from the Mataro. Numerous Shiraz vineyards are utilised for the fortified JMK Shiraz VP. JMK is named after John Malcolm Kalleske who has tended the Kalleske vineyards for more than 50 years. Christmas cake, chocolate, dark berry and spice. A low-yielding vineyard of rare Chenin Blanc named after Caroline 'Florentine' Kalleske, the first daughter of Johann Georg Kalleske who migrated to Australia from Prussia in 1838. Fresh pear, quince, hay and almond. The Rosina vineyard blocks are named after Anna 'Rosina' Kalleske, who, together with her husband Karl Heinrich 'Eduard' Kalleske farmed the vineyard from 1853 until the 1880s. Perfume, musk, strawberry and freshly crushed raspberry. The Dodger Tempranillo vineyard is the newest variety on the Kalleske property. It is named after the vine dodger, a mechanical weeder used on the property for almost a century. Very well suited to our red earth and climate the Dodger vineyard produces characteristic and varietally pure Tempranillo. Clasically varietal. Richly fruited with dark cherry, herbs, spice and earth. Fruit displays chewy rustic tannins and a lingering clean finish. “Outstanding winery… regularly producing wines of exemplary quality and typicity”. Kalleske Johann Georg Shiraz: Classification: Excellent – Classic Australian wines of consistent excellence.